Mikkel Veum-Søhoel is the Senior Advisor at Sykehuspartner HF. Sykehuspartner provides ICT, HR & procurement services to hospitals in Norway. Mikkel makes and implements the process that enables the company to track of assets. Mikkel received his education at the University of Oslo and BI-Norwegian Business School. He attributes his success to his ability to learn by doing, conceptual understanding, and his determination. In the next 4-5 years Mikkel wants to make the company more efficient and work to lower costs for the benefit of the users of Norwegian healthcare. The highlight of career thus far has been developing and implementing industry standards used by many companies. 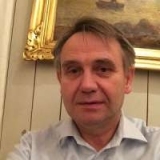 In his free time Mikkel enjoys being together with wife and children, do political work in the Labourparty, reading, restoring his old house & old boat, reparing the car when needed, cooking and walking and spoiling the dogs. He is thrilled to join the Who's Who community and looks forward to networking with other like-minded business professionals.